We have three state-of-the-art engineering facilities in Western Australia. Our large purpose-built manufacturing workshops in Bruce Rock and Forrestfield are strategically located in the heart of the Wheatbelt and Perth’s transport and logistics hub. 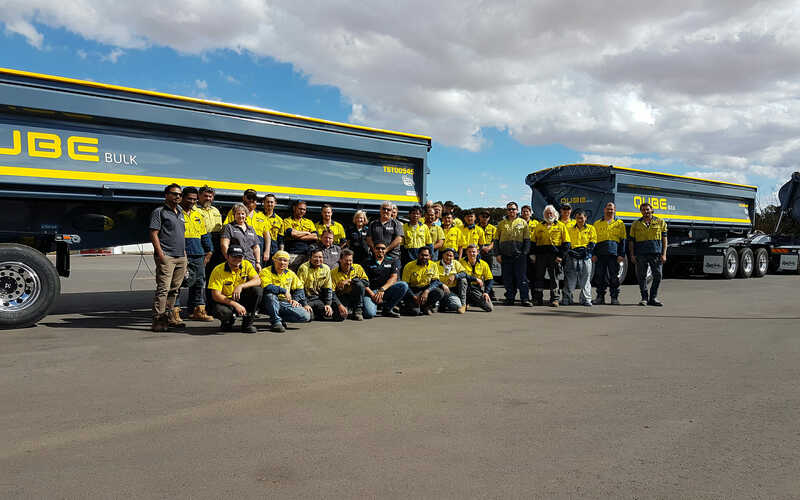 As the only trailer manufacturer in the Pilbara, our Port Hedland workshop supports the highest concentration of haulage road trains in the country. Every stage of the design and build process is performed on site by our experienced team. Ongoing support is provided by our comprehensive truck and trailer repair, maintenance and tyre service. Nationwide support is delivered through our network of sales, service and maintenance partners in Melbourne, Sydney, Brisbane, Wagga Wagga, Dubbo, Newcastle, and Rockhampton. Find out more about our industry leading manufacturing process here.